If you are looking to hire an experienced, professional, and highly-qualified HVAC contractor to service your heating, ventilation and air conditioning equipment, there are numerous reasons to hire one certified by North American Technician Excellence (NATE). NATE is operated by representatives of the HVAC industry. It is a not-for-profit organization that exists to verify and test the knowledge of HVAC technicians in the field. The program was founded in 1997 and is the industry’s largest testing program. To date, NATE has certified well over 25,000 techs. The certification process is very competitive. Applicants must demonstrate an above average understanding of HVAC theory and technology and be able to demonstrate the ability to function within at least one specialized field or discipline. In order to become NATE certified, applicants must take and pass two qualifying exams. The first exam tests the technician’s knowledge of core HVAC technologies and theory. The second exam covers a specific specialty chosen by the applicant. Meeting the qualifying scores in both exams results in certification. Once certified, technicians are required to complete 60 hours of continuing HVAC technology education. Newly certified techs are given five years to complete this portion of the process. Technicians must pass two comprehensive exams to earn certification. The first is a test of knowledge in core HVAC theory and technology, followed by an examination in one of several specialties Successful scores on both exams result in certification, but the learning doesn’t stop there. Over the ensuing five years, technicians are expected to complete 60 hours of continuing education in HVAC technology. Superior Installation Standards – NATE certified techs understand and implement all standards endorsed by Energy Star: the United States Department of Energy’s energy conservation program. 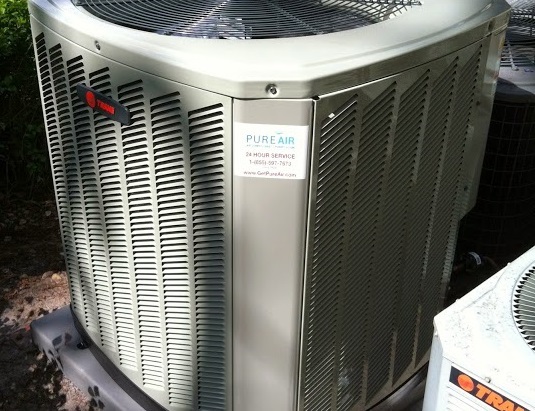 Properly installed HVAC equipment meets and exceeds many of the standards set forth by the DOE and results in superior comfort and equipment longevity. Thorough Inspection and Diagnosis – NATE certified techs are trained to assess and correct a broad range of issues originating with duct work, air flow and air balance. These things affect air quality and comfort within the home. Quite often, these areas have a greater impact on the performance of an HVAC system than the units themselves. Safety-Focus – Safety plays a huge role in NATE certification. Techs know how to deal with high voltages and combustion gases (including carbon monoxide) in complex HVAC systems. When you hire a NATE certified contractor, you can be assured that your technician is thoroughly trained on the installation and maintenance of even the most complex HVAC system. NATE certified techs arrive with all the right tools and are familiar with the latest installation and repair techniques. For your next HVAC installation or repair, insist on a NATE certified HVAC technician. Our repair tech’s are NATE certified. Are you a NATE certified tech? We’re hiring!